✅ Trip Verified | Worst airport I’ve ever encountered. Queued for almost 2 hours, stopped just before the security gate for no reason, meanwhile other lines were moving, I asked a member of staff that was chatting and laughing with his colleagues what is the holdup, his respons was “the French, what can you do?” and laughed. If you have other alternatives avoid at all cost this airport or give yourself at least 3 hours from the luggage check in to bording! Joke airport and staff! 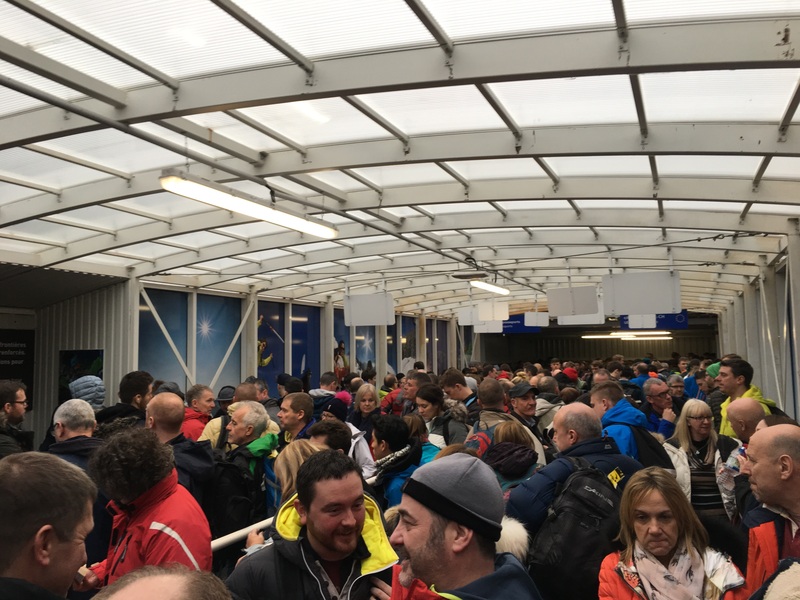 "took two hours to clear immigration"
✅ Trip Verified | On arrival it took two hours to clear immigration, the queue stretching well outside the main terminal building. On departure, the queue at security was immense, so big in fact, that supervision, such that it was, was asking passengers in the queue to disperse and only come forward when their flight was due. Consequently, the entire check in area became swamped with checked in passengers, who couldn’t move on. The facilities were completely overwhelmed with passengers dossing down wherever they could find space. The place resembled a refugee camp. The airport is clearly operating beyond its design capacity and is badly managed. The situation currently is being made even worse by industrial action on the part of French immigration and security. I have flown to, from and through literally hundreds of airports in my lifetime. Grenoble is one of the worst. Avoid. ✅ Trip Verified | Without a doubt the worst airport experience I’ve ever had. The facilities at Grenoble airport simply cannot cope with demand of passengers during ski season. Low points of the arrival experience include waiting on the tarmac to disembark the plane because the terminal was too full of stranded passengers, and waiting over 2 hours in customs queue, held within a makeshift marquee next to the apron. Thank god it wasn’t raining. After the horrendous arrival experience in Grenoble, I couldn’t imagine how it could get any worse but I was wrong. 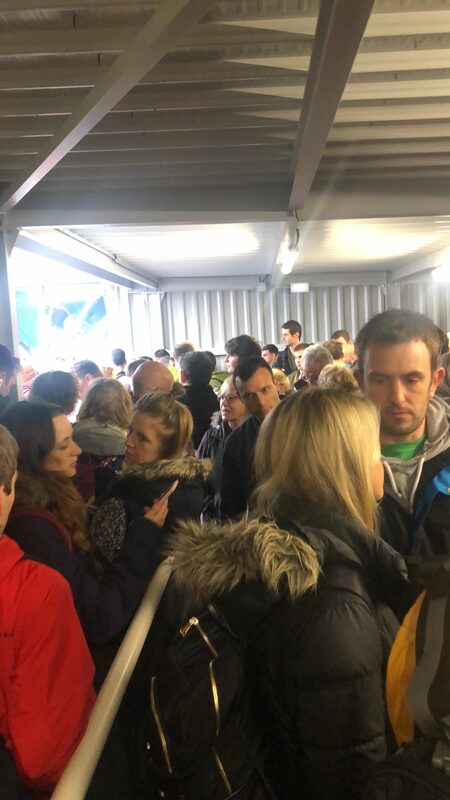 Departure on the return to LGW looked like a scene from the recent Netflix documentary on Fyre Festival. Stranded rich people asleep on the floor, Canada Goose jackets and Osprey rucksacks strewn everywhere as makeshift pillows, both inside and outside the terminal building (again, luckily it was a sunny day so we weren’t all confined to inside). Nowhere near enough food, drinks, toilet facilities for the amount of people. Queue for security over 150m long (and queue for check in almost as bad!). When queuing for security an hour and a half before our flight, we were told by staff to get out of the queue because it was too early and they needed flights before ours to queue instead. Tried to blame it on Brexit, but that’s not true as it was exactly the same last year. Absolute chaos. Looked like a scene out of a refugee camp. Will 100% be avoiding this airport at all costs in future. Would happily pay more to fly to Lyon, Geneva or Turin instead. Cannot stress how much I do not recommend flying here - especially those travelling as a family with elderly relatives or young children. "Very long lines for departure"
✅ Trip Verified | Terrible airport for arrival and departure. Huge lines at arrival for passport control. Almost 2 hours of queues. Very long lines for departure. The airport is very small and cannot handle all the passagers during the ski season. This is my experience for the last 3 years and there is no effort to improve. I will try to avoid this airport. Not Verified | Absolutely Awful. Was unable to accommodate for the number of passangers. Took over two hours to get through security and the flight was subsequently delayed because the airport was unable to get everyone on the plane on time. ✅ Trip Verified | Without doubt the worst airport experience I have endured - both on arrival and departure. 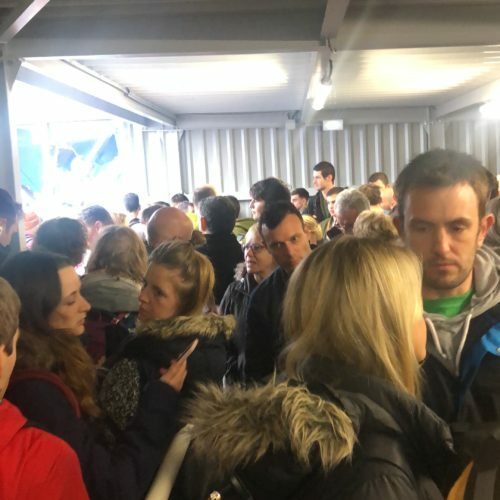 Facilities are wholly inadequate, from arrival/departure halls to immigration - arrival queues out onto the tarmac, and so few immigration officials on duty - being overly thorough and slow - took 2 hours to pass through on arrival, and not much less on departure. ✅ Trip Verified | Not fit for purpose. Every facility the airport has simply cannot cope with the number of flights they are trying to support. The staff are unable and unwilling to assist with even the most basic query. One of them even said to me “I do not know anything about the flights” when I asked for the estimated time of the delay. The ski package holiday operators and the airlines need to urgently apply some pressure to install new management. 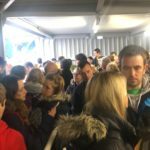 "it is now way too busy"
❎ Not Verified | Firstly whilst in this airport the experienced waiting times were extremely poor, along with this the seating area aswell as being cramped in is very unclean and gives off a dull and boring impression. The security measures were more harsh than is necessary. Removing a guitar capo (a small metal spring contraption used to hold the frets on a guitar) from my bag was completely unwelcome. The security gaurd confiscated the guitar capo and fiddled with it and proceeded to clamp it onto his knuckles as if it were some sort of knuckle duster. This is completely the wrong idea. Following the security guard messing around with my guitar capo he proceeded to hand it to another member of security staff and placed it in the bin without explanation to why it was confiscated from me. I can appreciate that it may have been mistakes for a dangerous piece however I was not allowed to explain myself and the capo was taken without any explanation which was rude and unprofessional. The capo was £10 and I understand this is not a large money loss however the guitar capo had sentimental value as a dear friend of mine gave it to me as a gift and therefore I was very offended. ❎ Not Verified | Same awful experience as everyone else's reviews. Queue after queue. Hour after hour on your feet. On arrival we were held inside the plane because there were too many people trying to get through customs in the airport. 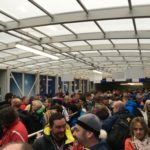 When allowed off the plane it took 90 mins to get through customs as there were only two customs officers dealing with thousands of people. On departure it was the same. Big queue to check in. Big queue to get through customs. Only three customs officers dealing with thousands of people. Surely the amount of money pouring into the airport in ski season can pay for more staff?